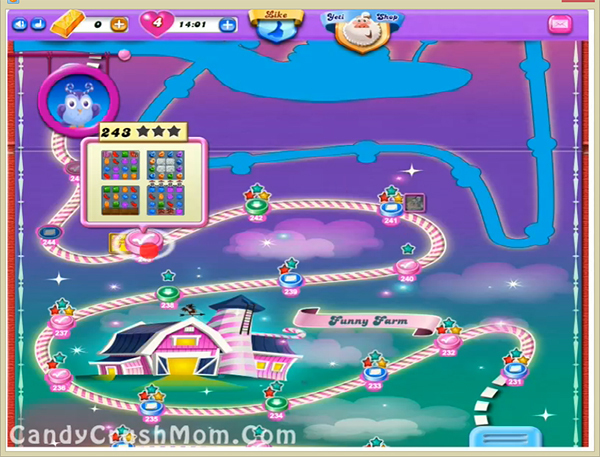 This level has hard difficulty as this board is divided into four parts and it will be hard to make special candies and order candies. For this level you need to make first wrapped candy as they will be hard to get and you might get stripe candies automatically after moon struck or you can make them own self and wait till moon struck as Odus owl will disappear and striped candies will break automatically without worrying of balancing the Odus owl. We completed this level with 58500 score using same strategy like first we made special candies and after moon struck they broke automatically.